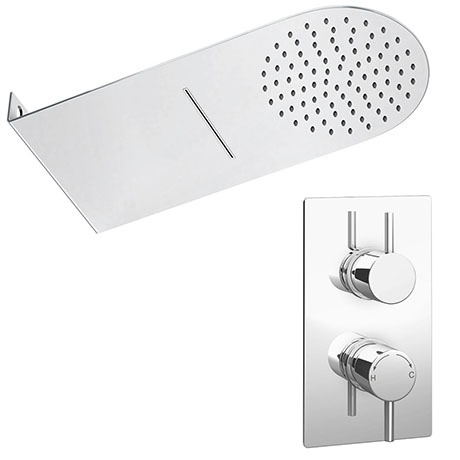 Relax and rejuvenate with the Cruze shower package with a overhead ultra thin fixed shower head with dual waterfall and rainfall functions, perfect for adding a touch of class to any modern shower room. Features two functions 'Rain effect or waterfall effect' combined in the one head helping to create a truly captivating showering experience. The Cruze Concealed Thermostatic Valve with Diverter offers thermostatic showering via two easy-to-operate controls for temperature and flow. Diverts between Rain effect or waterfall effect.